Kylie Lasseter - Siegmund Excavation & Construction, Inc.
Kylie Lasseter grew up around logging, construction, and farming. Before coming to work at Siegmund Excavation in July of 2018, Kylie worked for several companies, including Sullivan Construction, AJ Crushing, and McCallum Rock Drilling. 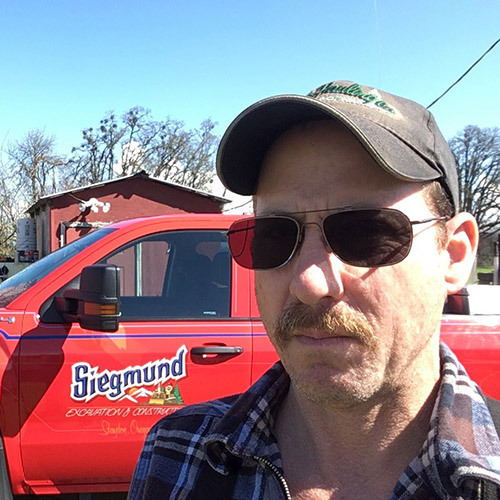 Kylie says he wanted to join the Siegmund team because it’s a family owned business with a good variety of work and work areas around the state. Kylie grew up in a small community. He attended Griggs School until it closed, then Hamilton Creek School through 7th and 8th grades, and graduated from Lebanon High School. His family enjoyed being members of the Studebaker Car Club and vacationing out of state. These days, Kylie’s hobbies are working on and collecting old tractors and Studebakers. When he’s not working, he loves spending time with his girlfriend, his family, and close friends.